Item # 305871 Stash Points: 999 (?) This is the number of points you get in The Zumiez Stash for purchasing this item. Stash points are redeemable for exclusive rewards only available to Zumiez Stash members. To redeem your points check out the rewards catalog on thestash.zumiez.com. 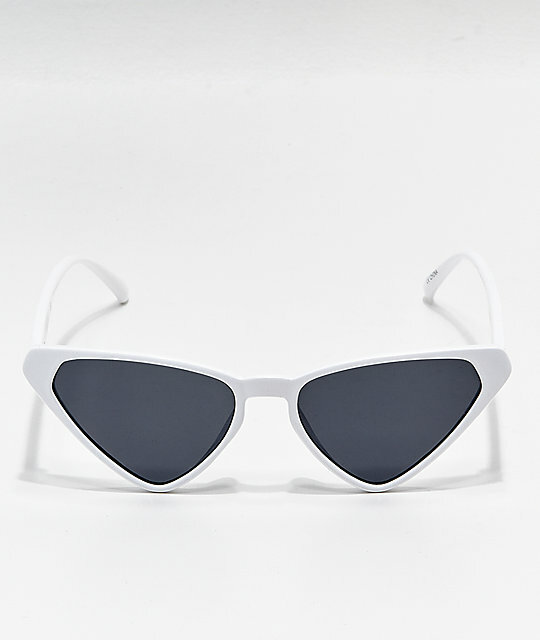 Finish off your look with the retro White & Black Cateye Sunglasses. These retro sunglasses offer a modern cateye design that will set you apart from the rest. Complete with 100% UV protection, the White & Black Cateye Sunglasses are the perfect addition to your casual style. 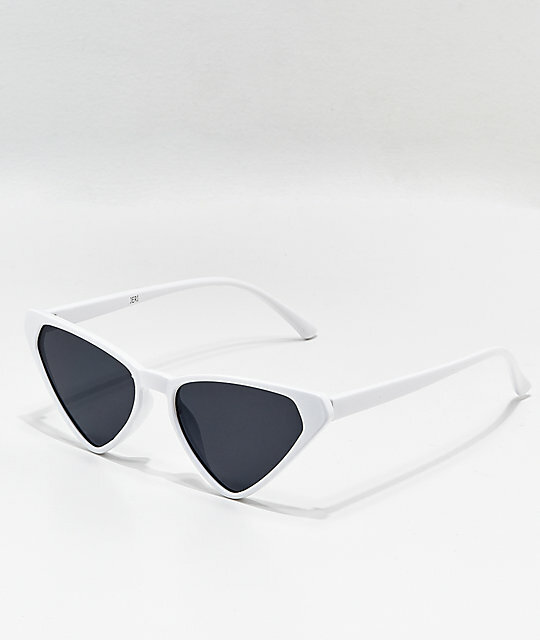 White & Black Cateye Sunglasses. Black tinted lenses with white frame.